The Opportunity Agenda’s Media Roundtables are a forum for our thought leaders and Communications Institute Fellows to provide state and national journalists with context and perspectives on the most urgent issues in economic opportunity, criminal justice and immigration reform. 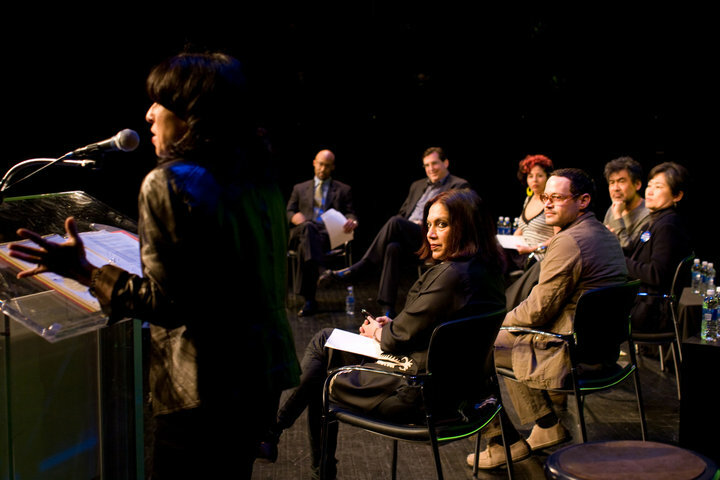 These roundtables are designed to open up discussion and connect journalists to media-ready storytellers and experts. Please contact Michael Paul Jackson at (212) 334-4275 or via e-mail mjackson@opportunityagenda.org to learn about our upcoming roundtables. On Oct. 30 21, 2018, The Opportunity Agenda hosted a press telebriefing with three reform-minded prosecutors: Harris County District Attorney Kim Ogg, State’s Attorney for Cook County Kimberly M. Foxx, and St. Louis Circuit Attorney Kim Gardner, to educate national reporters on the growing movement toward bail reform throughout the country, and to expose reporters to their leadership and initiatives around reform. On Aug. 21, 2018, The Opportunity Agenda hosted a press telebriefing with Astrid Dominguez, executive director, ACLU Border Rights Center, Naomi Tsu, deputy legal director of the Immigrant Justice Project and Mary Small, policy director, Detention Watch Network, to discuss and educate reporters on the tax dollars used for separating immigrant families, and how this policy might affect the upcoming election season.